A MUST IF YOU LIVE AT THE BEACH & CUTE ANYWHERE YOU HANG THEM! 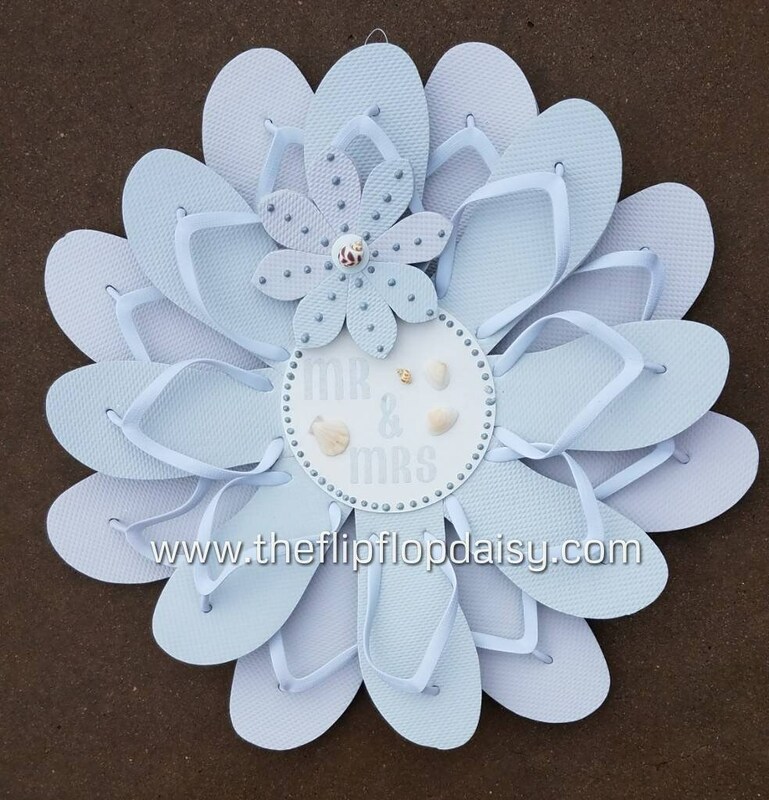 One of a Kind Handmade Beach Wedding Wreath made from flip flops. This wreath is of very high quality workmanship. Mr & Mrs and embellishments in Silver Glitter with sea shells. It measures 22" to 24" in diameter.